What if it snows on Sunday? check inside for our "snow policy"
What if it Snows on a Sunday? When there is a bad winter storm we may either CANCEL SUNDAY WORSHIP or go into SNOW MODE holding a very simple service in our Chapel where no one, regardless of their responsibilities is obligated to attend, except Pastor John who will lead a simple service with whoever braves the storm and happens to show up. We will let you know via email and post a voice-message on the church answering machine by 7:30 a.m. on any questionable Sundays. As always, use your own best judgement and don't attempt to come out in any conditions that seem unsafe to you. We would rather have you stay home and safe, enjoy some quiet time, maybe catch and old service on YouTube (click below) or on the Holden Local Cable Channel (every Sunday at 10am) and see you safely next Sunday. Please note, this will only apply to Sunday Worship activities and any other church events we specifically mention. 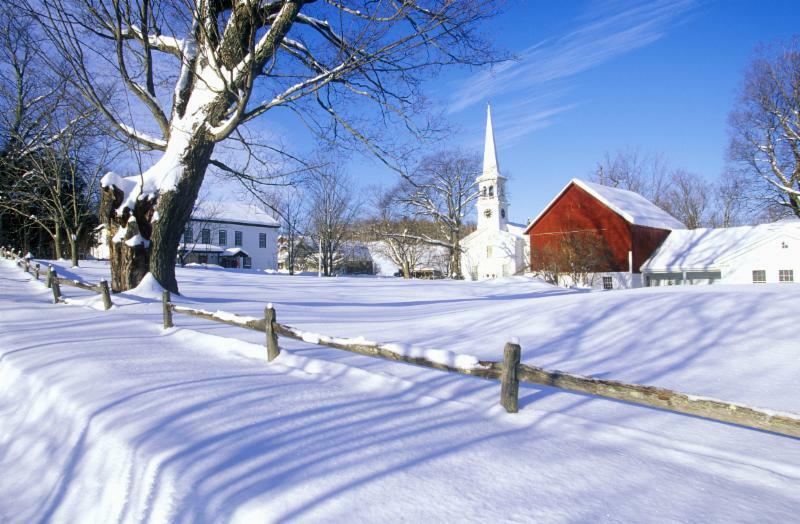 Other church meetings, activities or outside groups using the church building will make their own snow cancellation decisions and notify the members of their group on their own.